TIPP CITY — Beginning on Aug. 24, 2015, Kessler-Cowlesville Rd and Stonehenge Drive will be closed to all through traffic. Kessler-Cowlesville will be closed at the intersection of Stonehenge Drive. Stonehenge Drive will be closed to all through traffic from Kessler-Cowlesville Rd to Chelsea Lane but will be permitting residents access to homes and driveways in those blocks. Eidemiller Lane, Chelsea Lane and Chevington Chase will be posted as the detour route. Kelchner of Springboro, Ohio will be excavating and constructing new sanitary sewer lines for Talismanic Properties as a part of the Cedar Grove subdivision. The City approved said closure until Sept. 14, 2015. Please contact the City of Tipp City at 937-667-6305 with any questions about this closure. TIPP CITY — Adventures on the Great Miami is excited to partner with the Humane Society of Greater Dayton to turn its property at 1995 Ross Road, Tipp City, into a 20-acre play land for dogs on select nights! Doggie Paddle Days will allow your furry friends to swim in the river, play off-leash in designated areas, go for a hike and test out a canoe on the Great Miami River. Mix in dog-related vendors and Adventures on the Great Miami will be the gathering spot for dogs and their human friends. For the adventurous spirits, there will be a downhill slip ‘n’ slide, rope swing and slackline park. Doggie Paddle Days include Aug. 3 and 24; Sept; 1 and 21; and Oct. 6. The $8 admission fee per dog will provide access to canoes, kayaks, tubes for use on section of river near property and all facility amenities. A percentage of the admission will benefit the Humane Society of Greater Dayton. For more details, call (937) 266-6252 or visit http://greatmiami.net/. DAYTON — The West Milton Lions Club will sponsor a community blood drive Wednesday, Aug. 5 from 3-7 p.m. in the United Church of Christ social hall, 108 South Main St. with a splashy water bottle as the donor gift, plus a chance to win a deluxe Hawaii vacation for two. Everyone who registers to donate will receive a free “Catch the Wave — Donate Blood” screw top water bottle with straw; everyone age 18 and older will also be entered in the Community Blood Center (CBC) “Get on Board – Give Blood” summer blood drive drawing to win an all-expense-paid Hawaii vacation for two. TIPP CITY — The Miami County Park District will hold its “Spider Sniff” program on Aug. 7 from 8:30 to 9:30 p.m. at Charleston Falls Preserve, 2535 Ross Rd. south of Tipp City. Join a park district naturalist and discover the fascinating world of these eight-legged creatures as you take a journey on a fun filled, spider-sniffing adventure! Make sure to bring a flashlight. Register by going to the program calendar at MiamiCountyParks.com, e-mailing register@miamicountyparks.com or calling (937) 335-6273, Ext. 104. TROY — The 26th Annual IH Scout & Light Truck Nationals will be held at Historic WACO Airfield & Museum in Troy, OH, Aug. 14-16. The sole purpose of this event is to preserve and promote the legacy of International Harvester built products. Highlighted in the wide array of products are, of course, all “Motor Trucks” manufactured by IH, as well as the first mass-produced Sport Utility Vehicle, the Scout. Did You Know? The original Scout was created as a competitor to the Jeep. The Scout was developed and ultimately produced in less than two years’ time — a remarkable achievement in the automotive industry in the ’60s. The Scout line was formally introduced to the public on Jan. 18, 1961. TIPP CITY — The Miami County Park District will hold its Music in the Park “Heart Beat of the Earth” program on Aug. 15 from 1 to 4 p.m. at Charleston Falls Preserve, 2535 Ross Rd south of Tipp City. Participants are invited to listen to the sound of music and nature. Bring a blanket to sit on and a snack to eat. Register for the program by going to the program calendar at MiamiCountyParks.com, e-mailing register@miamicountyparks.com or calling (937) 335-6273, Ext. 104. TIPP CITY — Tipp Monroe Community Services is collecting school supplies for fall 2015. Any and all supplies are needed but especially: dry erase markers, scissors, pencil sharpeners, colored pencils, boxes of tissues, highlighters, paper towels, cleaning wipes, zipper pouches, four function calculators, composition books, flash drives, and scientific calculators. Please drop off items at the TMCS office at 3 E. Main St., Monday – Friday, 8 a.m. to 5 p.m. no later than Aug. 10. Supplies will be distributed at the Lunch on Us program and will be available for pick up at our office after that date. For more information, call us at 937-667-8631. Thank you in advance for your generosity. WEST MILTON – Did you find Milty the Milton-Union Public Library mascot last week? He was hanging out with John, Terry and Rusty at West Milton Optical. Next week we’ll print a list of all the places Milty visited this summer and all the winners for the “Where’s Milty” contest.  In conjunction with its Summer Reading Program, Milton-Union Public Library has teamed up with the Weekly Record Herald to play “Where’s Milty?” For the last eight weeks, “Milty” has been pictured in the newspaper in a different place in West Milton. Those who guessed correctly were eligible for a chance to win a “Get Out of Fines Free” card. The Milton-Union Public Library thanks all the business owners involved and the Weekly Record Herald for making this contest possible. For more information, call 937-698-5515.